This is a Performance stainless steel axleback exhaust system with single left right mufflers with single exits from Remus designed especially for the BMW E63 Coupe and E64 Cabrio. 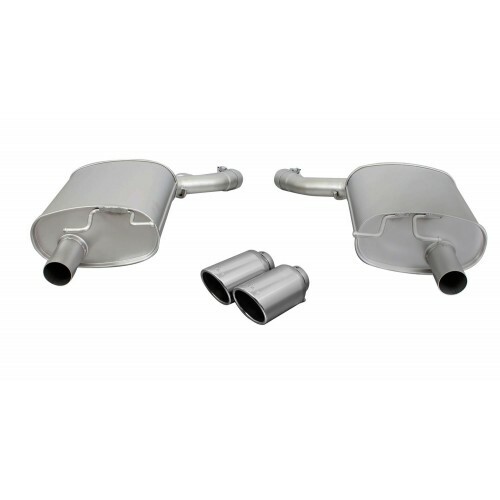 The stainless steel Exhaust system includes left and right side sport mufflers with single exits. Tips are extra and must be purchased together as a complete package. You will be able to Choose from 5 tip finishes.